Is your little one a fan of superheroes, and does he talk about the Green Lantern? Are you looking for an enjoyable and fun activity for your kids? 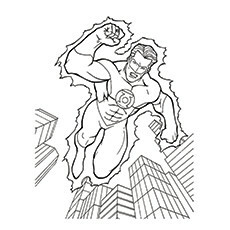 Well, if you said yes, then our Green Lantern coloring pages are here to help you spend quality time with your kid. 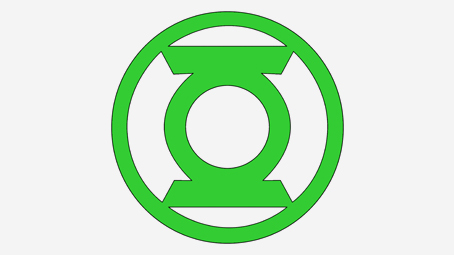 Green Lantern is one of the most famous fictional superheroes appearing in the Marvel universe. The first Green Lantern made his debut, and he has captured the imagination of both kids and adults. It did face a minor setback, but came back to light after a few years, paving the way for various Green Lantern themed video games, movies, and television series. 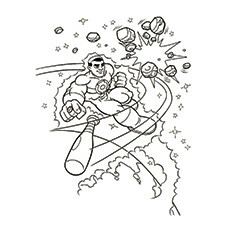 Here is a unique collection of ten Green Lantern coloring sheets that will give your superhero fan a gala time. Hal Jordon is the most renowned Green Lantern. Jordon was the first Earthman to be inducted into the Green Lantern Corps and currently, he is one of the most influential members of this intergalactic force. He is a brave, young man who likes undertaking challenges. As Green Lantern, Hal is almost invulnerable and has exceptional willpower. He can project hard-light constructs and utilize various other abilities through his willpower and imagination. He can also refigure and manipulate time and space to his will. 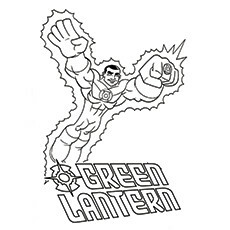 The coloring page features the logo or symbol of the Green Lantern Corps. The Green Lantern Corps is an intergalactic police force that patrols the farthest reaches of the DC Universe. The organization has been in existence for about 3 billion years and has survived multiple conflicts, both foreign and internal. There are around 7200 members in the group. Each of the Green Lanterns’ possesses a power ring that grants him/her with incredible powers directed by the wearer’s willpower. 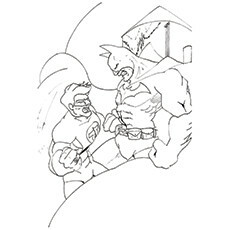 Here’s a coloring pages of Green Lantern with Batman. Green Lantern and Batman are allies in the DC Comics universe. In “Batman: In Darkest Knight”, Wayne becomes Green Lantern, which triggers a Domino effect that alters several events and characters in the DC Comics Universe. After Wayne’s disastrous attempt at crime fighting, Abin Sur gives him the power ring and asks him to wait until he contacts its master. With the help of the power ring, Bruce thwarts the creation of the Joker, but only temporarily. 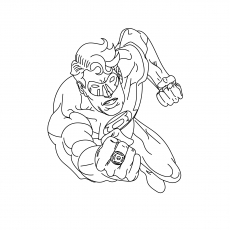 Green Lantern fights the criminals and evils with the ring that grants him with super powers. The ring is powered by a Green Flame, an empowered flame within a cob that fell from space. Many consider the ring the most powerful weapon in the universe. The most distinctive features of the ring are the green, solid light constructs that it generates. Alan Scott was the first superhero to bear the mantle of Green Lantern. He first appeared in the All-American Comics in 1940. Just like all the Green Lanterns, Alan fights evil with his magic ring that grants him supernatural powers. Alan Scott’s magical ring can produce a variety of effects. He can project a beam from his ring that would move, shrink and melt the objects. The ring also makes him invulnerable to weapons not made of wood. But Alan preferred fighting with his fists than take the help of the ring, just like a pulp adventure hero. 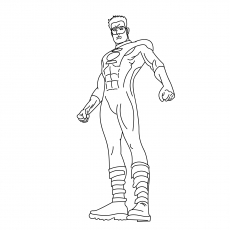 Here is a Green Lantern coloring page of Guy Gardner, the core member of the Green Lantern family. He played the role of Green Lantern for a brief period. Guy Gardner took special training to use the power ring. Guy uses the ring to get elemental powers like flight, energy projection and construction. His Vuldarian powers allow him to create weapons from his body. Gardner even has the authority to awaken the dead temporarily. He is even the founding member of the Justice League International. Here is another popular Green Lantern. John Stewart was the first African superhero to appear in the DC Comics. John appeared as Green Lantern in Green Lantern Volume when Neal Adams suggested the idea of a substitute Green Lantern. John Stewart also featured as one of the lead characters in Justice League. 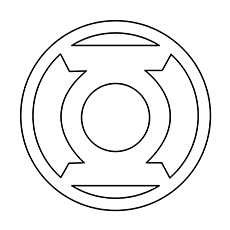 The power ring provides John with all the abilities, including limited invulnerability and flight. John Stewart can also kill the evils if the situation arises. He destroyed Mogo to save the universe from Krona’s army. Kyle Rayner was also the member of the Green Lantern Corps, an extraterrestrial force. He appeared in Green Lantern Volume 3 and was DC Comic’s Green Lantern until the mid-2000s. Before acquiring the mantle of Green Lantern, Ryner was a freelancer graphic artist raised in North Hollywood. Ganthet gave Kyle the Green Lantern power ring, which allowed him to conjure energy and any form of matter through force of will. The constructs of Kyle were much more elaborate than any other Green Lantern. These cute Lego Batman and Green Lantern look incredibly cute. DC Comics publicized these mini figures in 2011 to promote the release of DC Universe Super Heroes. These characters also appear in the Lego video game. He can fly and build objects from the green bricks. The Green Lantern featured here is Hal Jordan. Lego Green Lantern has short dark brown hair with a dark green mask and nougat lines on the chin and cheeks. 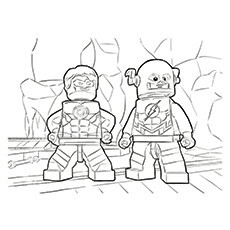 This Green Lantern coloring sheet features Simon Baz. Simon Baz was also the member of Green Lantern Corps. He first appeared in “Rise of the Third Army” comic. In the comic, Baz replaces Hal Jordon as the Green Lantern of the Earth. Simon shows the world the real potential of the power ring. He trains Jessica Cruz, the first female Green Lantern. 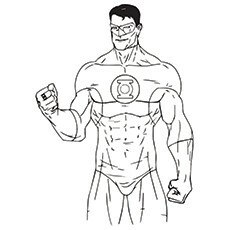 The printable Green Lantern coloring pages will not give your child the platform to enhance his imagination, but also give him ample opportunity to spend time with his favorite superhero. 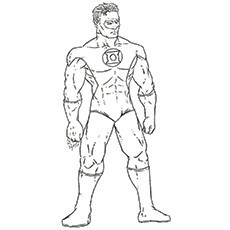 Your little superheroes can also try color mixing with these Green Lantern images. You can also display a few of his works here.